If you’re looking for the best cooking games on Android then you’ve definitely come to the right spot. Cooking is something most people like and if you’re looking for a cooking theme kinda game then you’d be happy to know that there are a whole of cooking games on the Google Play store. These cooking games won’t actually improve your cooking skills but will make cooking fun and enjoyable. You might also get hungry playing cooking games too which is normal given the fact that you’d be staring at foods. Now, not all of these cooking games on the Google play are actually worth playing but there are some really nice ones so we’ve taken out time to comb through the ones we could find and pick out the ones we think you definitely try out. Cooking Fever is no new games and has been around for quite some times gathering more than 100M+ downloads on the Google Play store with an impressive 4.5-star rating. It is by far the best cooking game on the Google play and quite possibly the best cooking game on this list. It is also my personal favourite when it comes to cooking games. In this game, you get to cook delicious meals and desserts from all over the world. There are over 400 dishes to be prepared using over 150 ingredients in 20 different locations. As you level up the 400 different levels available in this game you’d get special items and rewards which you can use to upgrade your kitchen equipment, interior and appliances. If you’re looking for the best cooking game on Android, look no further than Cooking Fever. Cooking Madness is a cooking game that brings out the inner chef in you in this crazy new adventure. it is one of the Best Cooking Games for Android Devices. Just like every other cooking game, you get to own your own restaurant, prepare, cook and serve your customer’s delicious meals from all over the world. You’ll also be able to travel to different countries to cook, get cooking combos and earn huge tips, unlock new restaurants to cook in and upgrade your kitchen as well as the interior and equipment. The game also supports more than 15 languages so you’ll be able to play the game in any language you want, not just English. 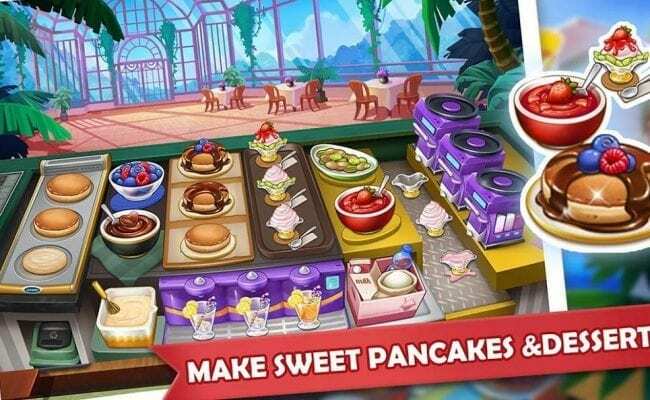 Cooking Chef is another great game among the Best Cooking Games for Android Devices. The game transforms you to a super Cooking star just like the name says and makes you that tiptop chef. It features over 12 beautifully crafted custom-designed restaurants with over 480 for you to challenge. There are also lots of dishes for you to prepare with a wide range of ingredients at your disposal. You can also beautify your kitchen with the available elegant decorations to make your kitchen actually feel like your own. Just like other cooking games, you’ll be able to upgrade your kitchen appliances and interior to attract more customers to your restaurant. Wanna be a Super Cooking Star? You’ll need to download this game. There are Good Pizzas and there are Great Pizzas, which would you like to make for your customers? In Good Pizza, Great Pizza, you get to prepare different types of pizzas with different toppings for your customers waiting for their orders. Pizza toppings available includes but not limited to Pepperoni, Sausage, Onions and many more. Remember, you run the business so you’ll need to make upgrades to your equipment in order to help you become a better ovenist. The game is simple, fun and challenging with overall smooth gameplay. It is everything you’d ever want from an actual pizza shop as the owner of the game has worked in a pizza kitchen for four years and as such, knows his onions, literally. If you’ve always wanted to start your very own fast food joint and make juicy burgers for customers in a game then this right here is for you. 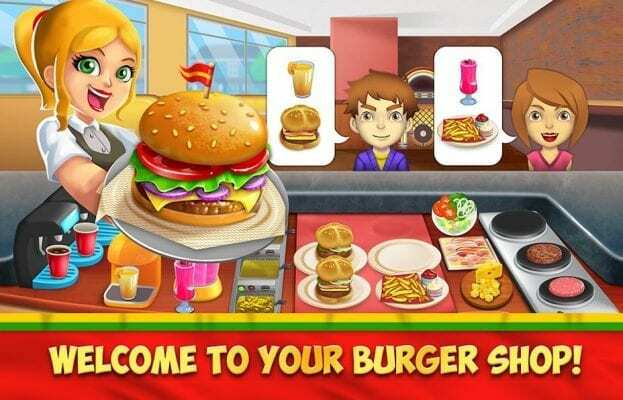 In this game, you get to own your very own burger shop and serve customers burgers and other delicious meals as fast as you can to level up and get rewards. Just like a real burger shop, there are tons of ingredients to choose from like bread, cheese, chicken patties and many more. You can mash the ingredients the way you like and serve them to your customers awaiting their orders. Just like cooking Fever, it has lots of customisations you can do to your shop. 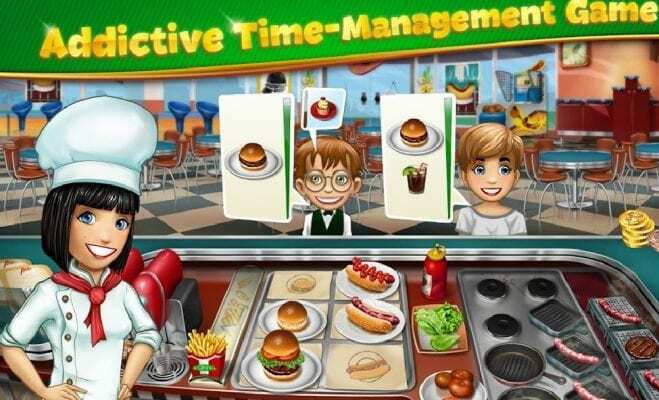 Cook delicious meals, serve weird and funny customers and enjoy the game. These are some of the Best Cooking Games for Android Devices you can play on your phone, do you know of any other great cooking games? The post 5 Best Cooking Games for Android Devices appeared first on PHONECORRIDOR.